Sherbert Ice mini hoops give you that little blue pop to your sundress or swim suit. Sherbert Ice earrings are in made in a matte powder blue. 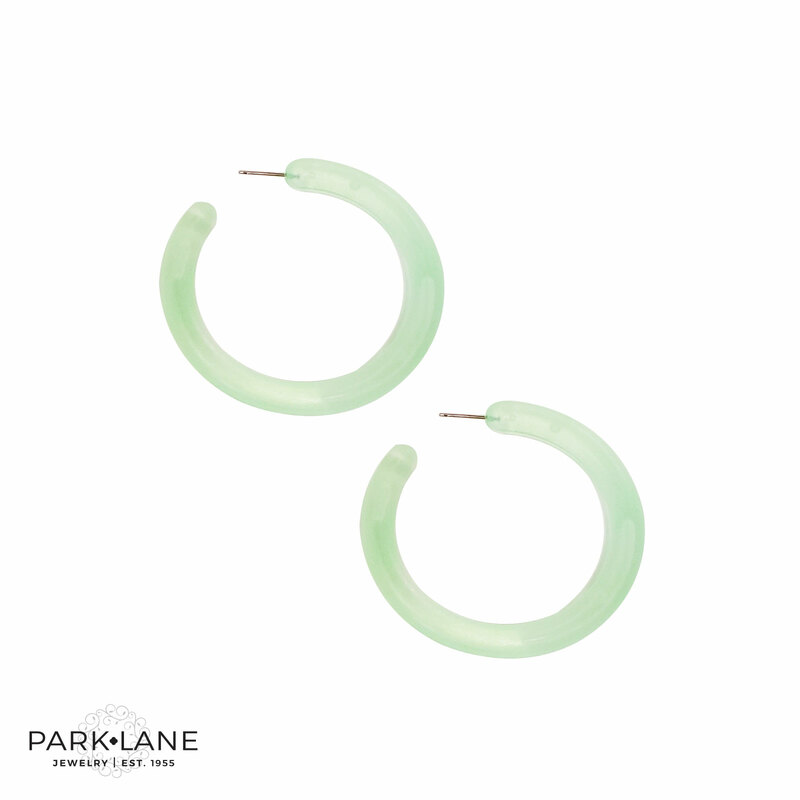 These earrings will give you that immediate fun feel to whatever you may wear. 1” in diameter.